Making a Big Change Can Take So Little! With a screwdriver, a safe storage place, and a bunch of new (or old, if that’s your thing!) 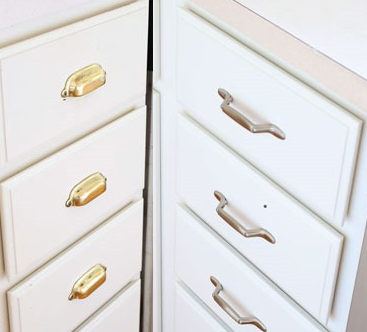 knobs and handles, you can dramatically change the feel of your kitchen, bathroom, or any other room that has cabinetry. If you doubt that ‘just knobs’ can have an effect on a room, let us prove it. How crazy is that? Same shape, same screws, same everything, but the switch from ‘clinical’ to ‘soft and inviting’ is instantaneous. 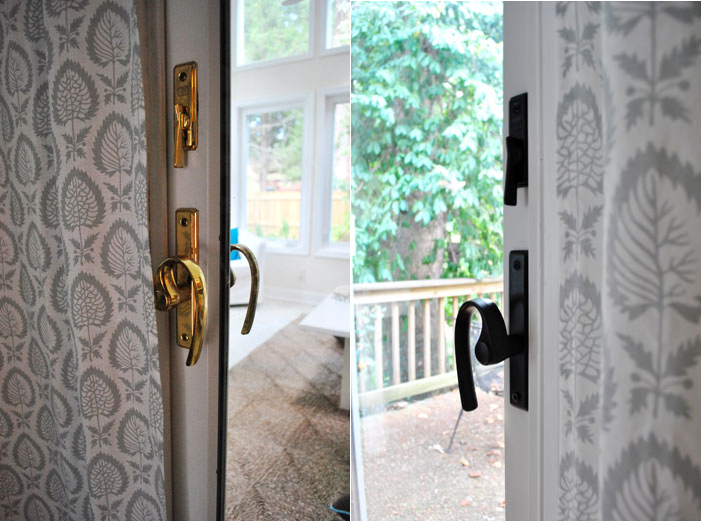 Again, same style of knob — the only thing changed is the color — and look at how different it makes the ambiance. 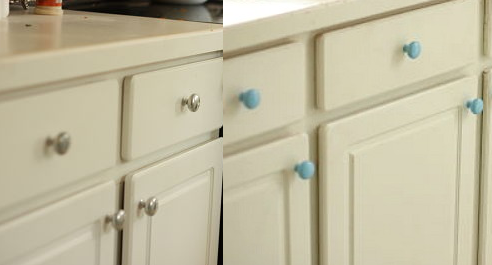 Can you imagine the change if we had switched to a completely different style of knob? 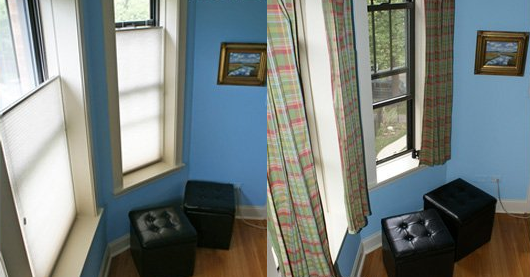 Installing curtain bars over a window currently graced with blinds is fairly straightforward — except that you don’t want to put holes in your wall (or, more accurately, we don’t want you to put holes in your wall!) Fortunately, that’s one of the many reasons why they invented Command products — a few of the heavy-duty hooks or hanging strips can be used to hold up a curtain rod and the hanging curtains with little issue. And it’s amazing what it can do to a room! 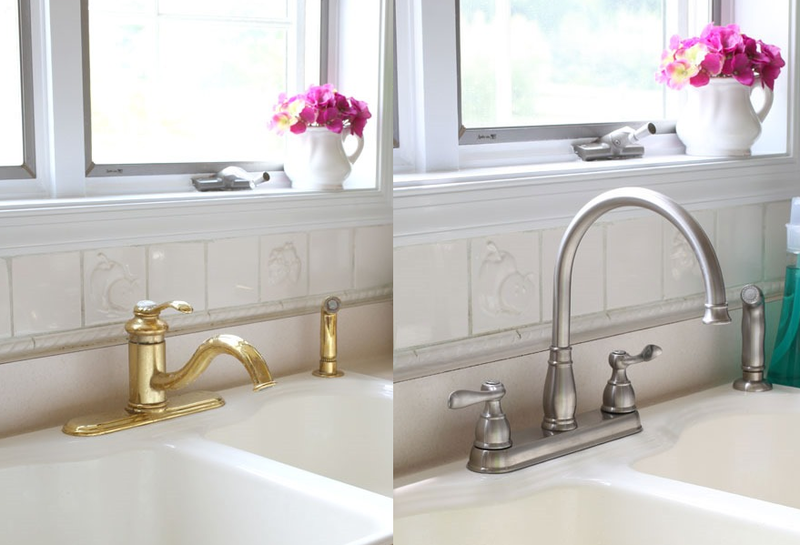 Not only does the kitchen look more modern and sleeker, but the added functionality of that swan-neck faucet makes it a lot easier to fill stock pots, wash large pans, and so on. …and that’s so worth the extra effort, especially if your existing pulls are as awful as those brass cup-style ones. Is making sure that you keep 100% of the original hardware and reinstall it flawlessly before you move out. Of course check with your landlord as they may allow you to leave your improvements as-is and give you a big thank you! Otherwise, as long as the move-in inspection pictures look just like the move-out inspection pictures, your landlord will be ecstatic that you took such good care of his fixtures and hardware — a win for all involved.